Have you been busy searching for a “dentist near me” in Princeton, West Windsor or Plainsboro? At Canal Vista Family Dental, we are accepting new patients and want to be your family’s dental provider! Established in 1989, Canal Vista has been a Princeton, New Jersey establishment for more than 25 years. Our long term established patients are accustomed to receiving excellent care and professional service from Dr. Bestandji and our highly trained dental team. 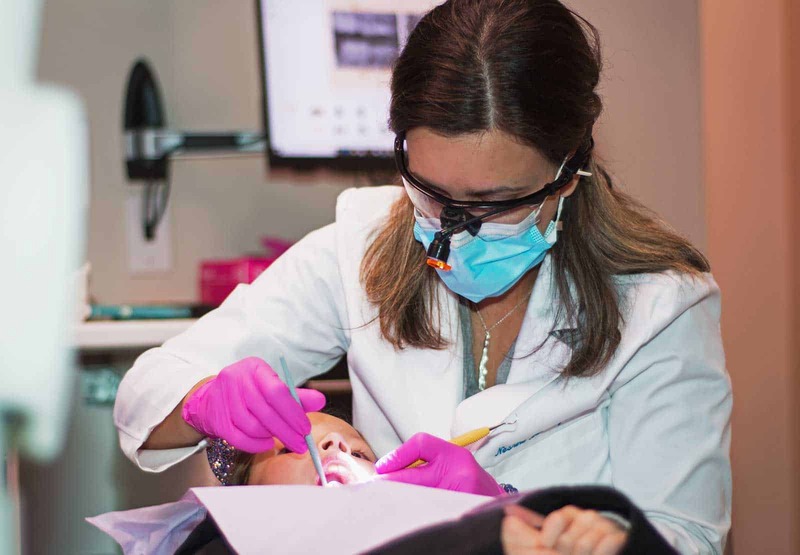 Whether you’re new to the area, need an emergency dentist, or just searching for a new family dentist, Canal Vista is your best choice for gentle dental care who accepts several insurance carriers and flexible payment options. What Can You Expect from Canal Vista Family Dental? Scheduling your six-month dental cleanings has never been so easy! Our patient portal lets you see our calendar day or night to find the best time for your next appointment. Canal Vista can care for your whole family, including the youngest members. Cleanings (prophy), fluoride treatments, and fillings are all available to keep your child’s smile healthy. If you’re looking for a pediatric dentist, you’ll be glad to know our family practice accepts patients of all ages! White fillings are both durable and match your teeth. Porcelain or gold custom fitted lab-made fillings support the structure of badly damaged teeth. Root canal treatment for an infected or abscessed tooth. Protect and support a tooth that has damage from decay or has had a root canal. Extract the third molars before they become impacted, abscessed, or painful. Use teeth whitening to get a whiter smile with KöR Whitening System in our office, or at your home! Dental veneers are a low prep option for your smile makeover! An Invisalign alternative, ClearCorrect clear orthodontic trays correct your bite issues in a short amount of time! Dental implants provide stability for your bite and promotes bone density in the jaw; we work with your implant provider to place the final crowns or bridges. Not all dental needs can be planned. A broken or knocked out tooth requires urgent attention. Emergency dentist, Dr. Bestandji is available 24/7 to triage your dental emergencies. Don’t Wait to Schedule Your Appointment! The condition of your dental health can be an accurate picture of your overall wellness. Links exist between conditions like gum disease and tooth decay and larger problems like heart disease, diabetes, and infertility. Caring for your teeth and gums is a priority! Don’t let another day go by without scheduling your next appointment for a checkup and cleaning. Log in to the patient portal night or day and find a time slot that will work for you! Call our dental office in Princeton or e-mail us with any other questions you might have. We are committed to providing the best dental care available.